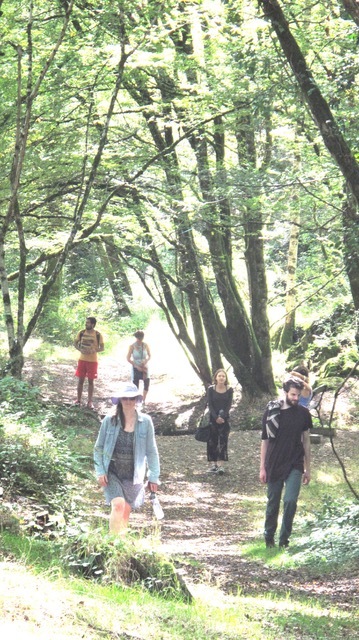 Retreat to the countryside of deepest France for yoga, time to connect with yourself and to feed your creativity. 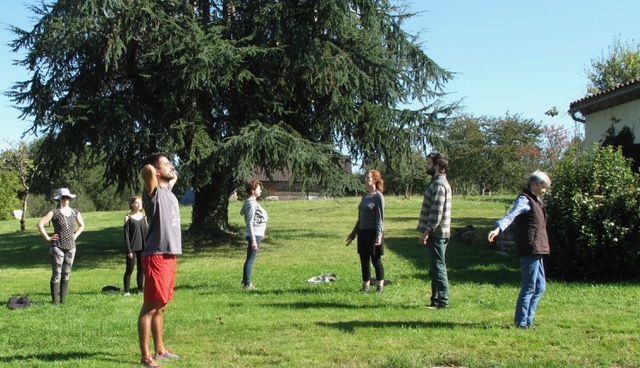 Develop Mindfulness in conducive surroundings with trained teachers and like-minded people. of strength and flexibility across all its systems, and appropriate to all levels of practitioner, however they may be feeling on any given day. Janine believes that for health, we need to engage not only our muscles, but also our internal systems or subtle body, cultivating our inner landscape to navigate life and remain grounded and open. While continuing study with Sarah and Ty Powers (Insight Yoga Institute), she’s currently senior tutor at CAMYOGA, Cambridge, UK. .
Maz Newton has been teaching yoga since 2017, alongside being a Secondary School Music Teacher and Head of Year. In that short time she’s taught over 270 classes! Yoga has been a game-changer in improving her general well-being, so she’s committed to sharing this with others. Maz teaches a wide range of people, from the staff and students at her school, in gyms and at the Hotpod Yoga franchise. She also holds regular Yoga Brunches to build her local yoga community. Maz's classes are strong, but accessible and fun. They explore the balance between strength and softness within poses, and help students listen to and become more aware of their bodies and breath. £495 own room (shared bathroom). You’ll stay in deliberately simple but comfortable shared accommodation, a room in the main house, The Piggery or a cabin. The Piggery is a separate gite in the grounds, suitable for up to four retreaters. It has a large open mezzanine space upstairs (4m x 6m) with further accommodation downstairs (5m x 6m). There are two cabins in the grounds each with a yoga deck: ‘Le Cabanon’ (3 x 3.5m sleeps 2) and ‘Le Shed’ (3 x 3 sleeps 1). Both cabins have basic washing facilities but occupants use the main house bathroom. There is one funky VW van tent (sleeps 1) at a reduced rate. We can accommodate a maximum of 10 retreaters. There is wifi throughout Le Verger. *While we do our best to satisfy your accommodation request, please note that in the event that this is not possible, you will be offered the alternative at the advertised price. Breakfast is on a help-yourself basis. A simple buffet lunch will be laid out in the kitchen from 12:30-1:30. Tea and coffee-making facilities are always available. There is a meal preparation rota for the vegetarian evening meal dinner served from 7.30 pm. Please indicate on the Booking Form any dietary needs or intolerances (we provide gluten- free and soya alternatives). The consumption of alcohol is discouraged during the retreat. Most retreaters will be flying from London-Stansted to Limoges. If flying from another airport please liaise with us so you’re arriving and departing within an hour or so of the others to facilitate transfers to and from Le Verger. We will inform you which Ryanair flights to book. Travellers by train can be picked up / dropped off at Limoges-Benedictins rail station .We charge £12 per person each way for group airport pick ups and £15 each way for rail station pick ups. *Note: If you require a separate pick up or drop off, a local taxi costs 140-160 euros and we charge £80. Ensure you bring warm clothes (jumper, woollen socks, a blanket etc) for meditation and relaxation as this will be done in a covered decked area. We are at the highest point in the Dordogne (410 m). Bring your own yoga mat. Some art materials (acrylic paints, brushes, glue, felt tips) will be provided but bring any extra art materials, you may wish to use. Bedding and a bath towel is provided. We stop at a supermarket on arrival so you’ll have the chance to buy toiletries and any personal requirements. The nearest pharmacie is 7 km away (and costly) so please bring supplies of any personal medication you know you will need. You will need to bring a European plug adapter.